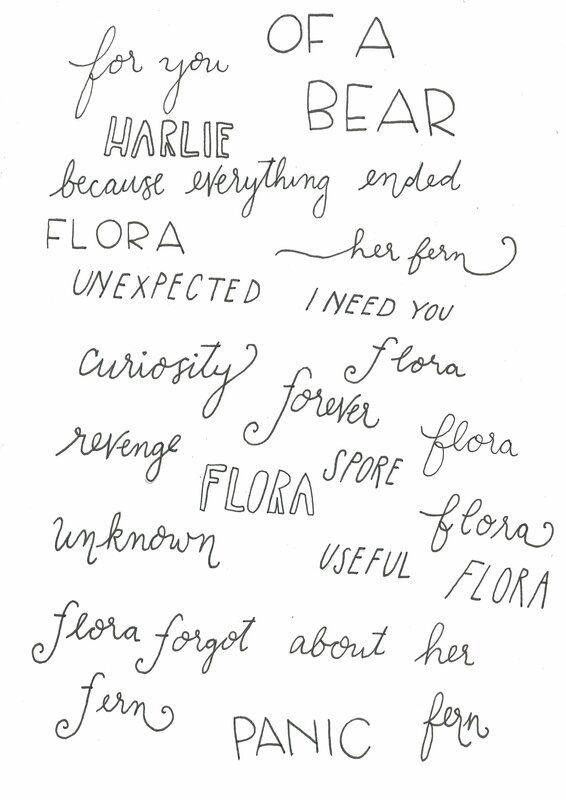 Flora and the Fern is a hand lettered book. Words in script are different from the main font add emphasis and movement to the story. Working on- Promoting my book! Listening to- The wind outside my window and some grackles stealing food from little song birds at the feeder.